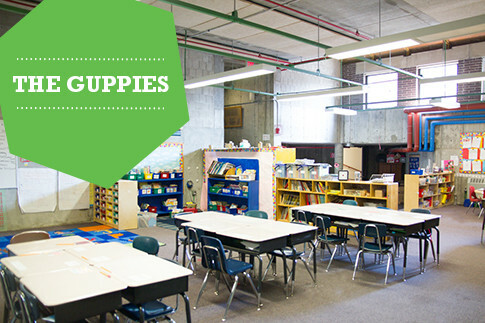 THE GUPPIES ROOM is located in the historical building, down the stairs to the right of the main entrance of the historical building. Courtney is a veteran of PSED. She even taught enrichment classes before she became a PSED teacher. We are so glad that she is now our Kindergarten Coordinator! Courtney attended Mass College of Art and Design earning a degree in Photography. She is an accomplished darkroom photographer and enjoys cooking and gardening. Courtney is a phenomenal cook, and spends a ton of spare time in the kitchen working on new recipes, occasionally catering small events. She loves to share her passion for art and cooking and knowledge with the Guppies! Paula is a long time member of the PSED family, and has studied both art and music prior to joining our staff. Paula was a teacher at the Loon and Heron Children’s Theater and also co-founded the Song and Stone Theater Group, a high school theater group. Paula has spent the last several summers working at the Summer at Park program. Paula lives in Boston with her daughter Frieda. In her free time, Paula enjoys working on various creative projects, including her own non-profit organization Sovereign Arts. PSED is very excited to welcome back Claire! Claire was born in New Haven, CT and grew up in East Haven, CT. She attended Wheelock College and studied Early Childhood Education as well as Visual Arts. Claire has had plenty experience with children working as a pre-K teacher for Knowledge Beginnings as well as time nannying and babysitting. In her free time, Claire loves-playing tennis, reading, watching movies, and of course playing video games. This year, Claire is most looking forward to learning all she can from her co-teachers and our guppies. Welcome Hattie! This is Hattie’s first year here at PSED. Hattie was born in Framingham and grew up in Southboro. 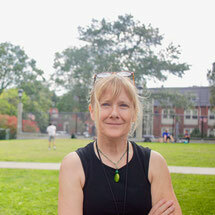 She attended the University of Vermont for undergrad and studied early childhood education, after that, she went to Lesley University to obtain a masters degree in education. 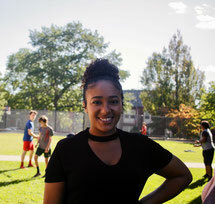 This is Hattie’s 5th year working in Brookline schools, she has worked two years with BEEP, one year as a special education para at Pierce, and is now a first grade para here at Pierce. Hattie loves to be outside. As an avid skier she spends most of her winter driving up to Stowe Vermont to ski on the weekends. Hattie also plays field hockey in an adult league. She is looking forward to working with a new group of teachers and students. Hattie is excited to learn all that PSED has to offer and excited to be part of this group!